Blocked drains are among the most common plumbing issue we deal with. If blockages are not attended to quickly, they can lead to significant damage to your property and also your health. BP&G specialise in drain blockages and one way we clear blocked drains is with electric drain machines such as our Cleaner Drain K1500b-ST. You should always consult a licensed plumber to carry out drain cleaning, as a drain machine in the wrong hands can lead to cracked pipes or further damage to your plumbing. 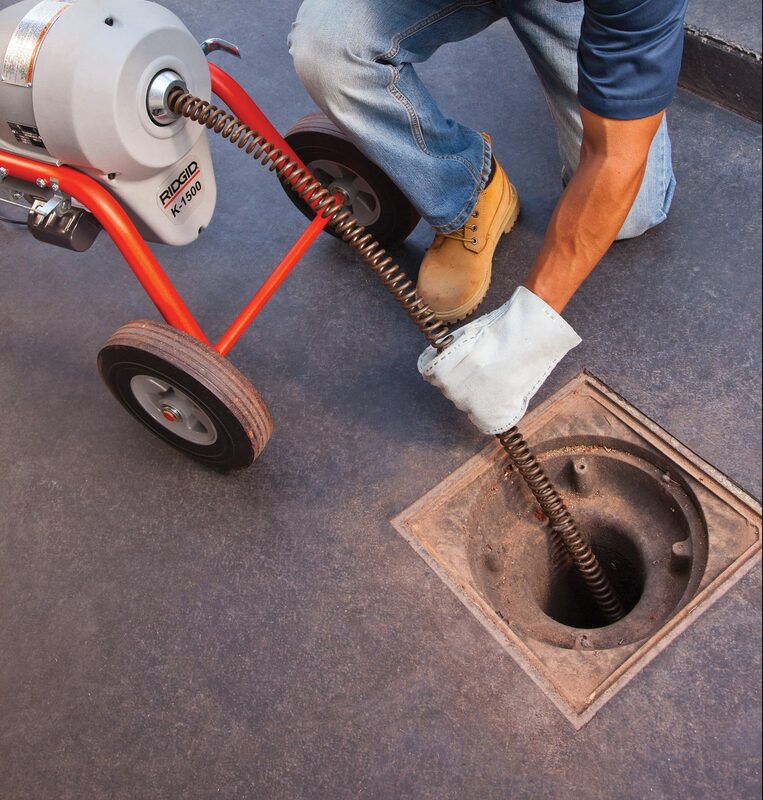 Our qualified plumbing specialists have extensive experience using these machines to cut through just about any type of blockage. So how exactly do we remove a blockage? Our drain machines have a cutting head attached to a flexible cable that when inserted in the drain, can cut through the accumulated material or tree roots and pull it out effectively and efficiently. If you suspect one of your drains are blocked, contact BP&G for reliable plumbing and drain cleaning services in the Perth hills.